KAMPALA – The Minister for Security, Gen Elly Tumwine, has threatened to take disciplinary measures against District Residence Commissioners (RDCs) who do not submit regular Situational Reports (SITREPS) about their areas of jurisdiction to government. The Situation Report (SITREP) is a form of status reporting that provides decision-makers and readers a quick understanding of the current situation. It provides a clear, concise understanding of the situation—focusing on meaning or context, in addition to the facts. 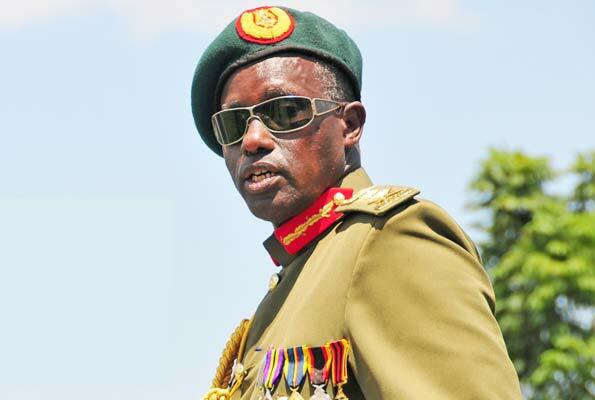 But in a letter dated February 8, 2019, to the RDCs, Gen Tumwine said many RDCs have failed to submit their SITREPs on a daily basis, which he said is compromising national security. “…there are those (RDCs) who did not send anything in the month of December 2018 and January 2019, like Kabarole and Kamwenge, while others are fond of sending, Nothing To Report NTP. I do not believe that there can be nothing to report about a whole district. I ask those sending the Sitreps to keep up the vigilance and I will not hesitate to take appropriate measures on those defaulting,” read the letter in part. According to the minister, Sitrep is supposed to be a detailed account of what has gone on in the district on a particular day, from which government assesses RDCs’ performance. Article 71 of the Local Government Act 1997 says the RDC, as a representative of the President and the government in the district, coordinates government services in the district, advises the district chairperson on matters of a national nature that may affect the district or its plans or programmes and particularly the relations between the district and the government. He or she is also supposed to monitor and inspect the activities of local governments.